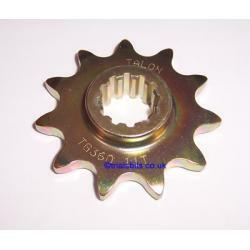 A Talon Gearbox sprocket to fit the following Fantic models. 240 300 303 305 243 247 307 301 241 K-Roo Kee-Roo. Available with 10 or 11 teeth, please choose from the dropdown.